First, the caveats and assumptions. This perspective takes no moral stand on homosexuality. Those who know me know that I strongly favor gay rights, but in developing the arguments below the opposite might sometimes seem to be the case. So when I say that something increases “risk of homosexuality” or is “not favored,” I don’t mean it in a normative sense, only in an objective, who-survives sense. Additionally, I am assuming a biological (though not necessarily genetic) basis for homosexuality. This should not be controversial to anyone with even a rudimentary understanding of biology – many studies have shown differences in hormone levels and brain structures based on homosexuality. I also assume that there is an important (though not exclusive) role for exposure to pre-natal hormones. Studies have shown that male fetuses exposed to low levels of male hormones like testosterone during pregnancy are more likely to become gay. For simplicity’s sake, I consider only the case of male homosexuality, though the same principles can be easily extended to female homosexuality. Not all individuals turn out the way they are “supposed” to. As much as evolution attempts to standardize the developmental process, things often go wrong. This is partly because environments vary, partly because many processes in development are very sensitive, and partly because genes and gene combinations vary. This is particularly likely to be true for subtle traits like sexual preference, as opposed to things like development of the heart and lungs. Sexual preference (including “deviant” preferences such as pedophilia, as well as matters of taste, such as tall versus short partners) is determined by many things, likely including genes, pre-natal hormonal environment, early imprinting, and later-life experiences. Other species provide a useful parallel: Many birds and fish also have genetically determined preferences for certain color and feather/scale patterns. Female songbirds are attracted to the songs of males of their species, but only if they are exposed to these songs during a critical developmental period. Of course, if there were a perfect association between personality and homosexuality and gays had no kids, this wouldn’t work. Everybody with a certain trait would be gay and would have zero reproductive success. But if gays have kids anyway sometimes, or if the personality trait changes the probability of being gay, but not 100%, it would still be possible for natural selection to result in homosexuality as a side effect of good personality traits. The previous argument supposes that the relative value of personality traits is aways the same. This is unlikely to be the case in group-living species such as humans (and the contrary has actually been demonstrated in chipmunks). For example, if everyone in your tribe is highly aggressive and dominant, you may all end up fighting with each other and killing each other, but if no one is dominant, you may end up without a clear leader and unable to defend yourself against other tribes. Thus, a mix of personality types in a population is likely beneficial in many circumstances. Additionally, the best personality traits may change over time. David Brooks recently wrote that in the modern educational system, agressive, hyperactive boys don’t do as well; this was not the case 100 years ago. What type of personality is best for a chipmunk (exploratory versus conservative) depends on what time of year you are born. What this means is that there could be strong selection for homosexuality-associated personality traits under some conditions. While it is certainly true that being gay is likely to decrease a man’s reproductive success in many contexts, gay men also have some reproductive success. In traditional societies, they were often forced to marry. Many gay men are at least partly bisexual and may have some heterosexual relationships during their lives. And they can help their families, aiding the reproductive success of brothers and sisters, nieces and nephews. All of these factors will decrease the force of natural selection against homosexuality, and allow the other factors above to operate even when they are not so strong. In my opinion, this explanation is probably the least important so far. 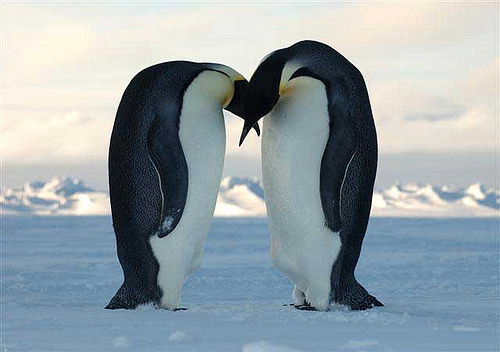 There is homosexuality observed in many animal species, including some where males provide little aid to their relatives and where there is no social pressure to reproduce. We tend to like simplistic explanations of genes: a gene for blue eyes, a gene for being religious, a gene for being aggressive, etc. Most of the time, however, genes have many, complicated effects. There are many versions (alleles) of each gene, and various combinations of different alleles for different genes can have unpredictable effects. For example, some types of hybrids can end up bigger or smaller than either of the parent species. There are many ways this could result in evolution of homosexuality. Here is one hypothetical example. Gene A has alleles A1 and A2, and having A1 makes you more sociable than A2. Gene B has alleles B1 and B2, and when you have two copies of B1 or two copies of B2, you have a less resistance to atherosclerosis than if you have one copy of each. Gene C has alleles C1 and C2, and C1 gives you lower testosterone levels than C2, which can be good for health and diminish the risk of dangerous behaviour. So the best genotype might be A1A1, B1B2, C1C1, all else equal. But maybe this particular combination dramatically increases the chance of becoming homosexual. Because this combination is somewhat rare and the relevant alleles are good for other things, these alleles will not be selected against and homosexuality will exist as a side-effect. The lesson to take from all of this is that the details of evolution are highly complex and depend on many things. In the long run, evolution usually succeeds in having its way: most males are heterosexual, after all. But in the short run, things are messy, and there are lots of ways that evolution can produce unintended consequences and sub-optimal results. Perhaps too much testosterone during pregnancy is bad for women’s health long term, and some women have an allele that decreases this. Normally, lower levels of testosterone might increase the probability of being gay, but when the son also has this allele, there is actually a lower risk of becoming gay because it is linked to other protective alleles. However, the protective alleles can have negative consequences on development if the testosterone level during development is too high, so many men whose mothers don’t have the low-testosterone allele don’t have the protective allele either. When a male fetus without the protective allele is exposed to low testosterone during pregnancy, the probability of becoming gay may still be low, except when the mother has been consuming lots of estrogen-like chemical in her diet (phytoestrogens in soy, for example), which will somewhat augment the chances. But the probability might become very high only when the fetus also has certain alleles predisposing him to certain personality traits that are under strong pressure from natural selection. This is all hypothetical, but there is good reason to believe that the reality is often this complex. For many things like this, we are unlikely to ever fully understand how the chance of becoming gay changes with every different combination of genes and environmental conditions. An understanding of the general principles that can lead to this complexity may be sufficient, even if our brains long for a simple answer (it’s the Devil!). Great work here. You cover many things we have discussed before, but in this article, I didn’t always recognize them right away. I think that means it can be polished up somehow. One theme that you allude to several times, but maybe not explicitly: these “maladaptive” traits are often highly adaptive under different circumstances, or in different members of the same species. Whenever I hear the symptoms of OCD described, I think of new mothers, early stages of romantic love, and people deeply absorbed in a project. Apparently, most of humanity is supposed to experience situational OCD for a lot of their lives. This makes me think again about how I should understand the evolution. I’ve always thought of it as a “scientific” or “natural” process. I don’t know how biologists would define “natural” exactly, so when I say natural, I just mean what average people would mean by it. But reading this, it sounds like it’s not just that but involves a sociological and cultural aspects too. For ex, gay men are actually not attractive partners to human females because for women, men just being healthy enough to have offspring together is not the only standard for choosing them as a partner. So without the social pressure, females wouldn’t have chosen them as partners. The social pressure is man-made, and so I thought of it as “artificial” (as opposed to natural, don’t grimace yet though). Same for the introduction of condoms that helped prevent STDs spreading further that could’ve damaged gay men population. So along this line, one would think that the nature was heading toward a certain direction (which I mean by natural), but the social system or certain inventions by humans averted that process. But this posting makes me think that the social system or artificial intervention by human intelligence is also a part of evolution, which makes sense to me – maybe it’s not so different from, say, animals learning how to use tools. But then now it looks like anything can be explained by evolution – men cutting down the trees, childless couples, and even the idea of superior race? I think you’re exactly right that from a biologist’s persepctive, humans are a species undergoing evolution like any other (as eloquently demonstrated in a paper by my new post-doc, Emmanuel Milot). In any species, there is the potential for its internal social dynamics to affect its evolution, for its evolution to affect how it interacts with its environment, and for its environment (including the aspects changed by it) to affect its subsequent evolution. So, finally, yes, I think nearly everything can be understood in the light of evolution. Men cutting down trees is us expressing a series of instincts related to self-preservation, ambition, comfort, and so forth, with little consideration for long-term consequences. These human traits were selected for, I think (though they are also different in different people, and can be affected by culture to some extent). Childless couples can be explained in ways similar to homosexuality. And racism is a natural extension of two common human personality traits: a tendency to group individuals into simple categories for ease of decision making, and a desire to protect one’s own group at the expense of others. I am not saying these traits are the same in all people, or that they can’t be affected by environment and culture, but if you look at the diversity of behavior patterns across primates, it is certainly possible to imagine evolutionary scenarios in which humans would have these traits much less.